Specialising in medical negligence cases since 1988, Tom has extensive experience and knowledge in advising claimants and their families, helping them get through what can be the most difficult of times. He is a member of Action against Medical Accident (AVMA) and the Law Society Clinical Negligence Panels. He specialises in Cerebral Palsy and Brain Injury cases and other cases of maximum severity. Tom heads the Medical Negligence Department at BTTJ and was instrumental in the Department’s renewal of its Legal Aid Franchise accreditation, the Auditor from the Legal Services Commission commenting that the Department’s procedures were the best she had seen. 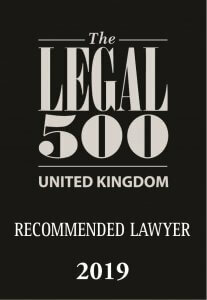 The Legal 500 has also recognised Tom, stating that he is ‘highly experienced‘, ‘has a great case load‘ and ‘is popular with clients‘. "Tom is amazing! Professional but also kind and compassionate, I'm so thankful for his help and support." "The particular lawyer I have been dealing with is Mr T K Barnes. He has excellent communication skills and always kept me up to date every step of the way on my case. He assured me on every aspect of my claim and never faltered in putting my mind at rest over the last few years especially when my confidence started to fade on occasions. Although my particular case has been settled, I have chosen this firm to carry on working with me and (in particular Mr T K Barnes) to be Joint Deputy with myself on behalf of my son, for the foreseeable future. I would recommend this firm and this particular lawyer to anyone who is unsure or nervous about employing the use of a lawyer/firm of solicitors."